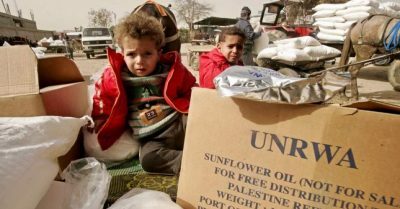 After months of speculation about the contradictory remarks delivered by American officials and spokespersons about the White House’s intention to end the UN Relief and Works Agency for Palestine refugees (UNRWA)’s mandate, America has announced that it is withholding all future payments to the organisation. “The administration has carefully reviewed the issue and determined that the United States will not make additional contributions to UNRWA,” the US State Department announced. Anyone with any knowledge of the current US administration would recognise that this is not the real reason that pushed the American administration to make this disastrous decision. America has for decades been doing its best to protect and appease Israel at the expense of Palestinian human rights and international law, however, the current administration has gone a step further. Under Trump the US is carrying out Israel’s policies on behalf of Tel Aviv, starting with recognising Jerusalem as the undivided capital of Israel. The US has also imposed sanctions on Iran at the behest of Israel, a policy which it is to tighten in the coming months, and now it has ended its annual payments to Palestinian refugees. “The US did something very important by stopping the funding for the refugee perpetuation agency known as UNRWA,” Israeli Prime Minister Benjamin Netanyahu said. “It is finally starting to solve the problem… This is a very welcome and important change and we support it,” he added. It is evident that America’s decision is a big step towards eradicating the Palestinian issue, and changing the facts on the ground in future negotiations regarding the Israel-Palestine conflict; in particular the Palestinian right of return. As UNRWA’s funding crisis becomes more intense, the services it offers to Palestinians will be curtailed, children, expectant mothers and a future generation of Palestinian refugees will pay the price. Education may be halted as limited funds may be insufficient to run schools in the occupied territories and refugee camps in surrounding countries. The Palestinian economy and future state will be weak as a result. “I intend to expel it [UNRWA] from Jerusalem”. With that, we see the beginning of the end of UNRWA. Motasem Dalloul is MEMO’s correspondent in the Gaza Strip.